1. 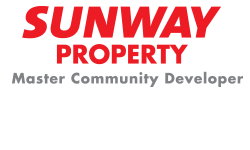 When is Sunway The Good Run? 2. How many distance categories are there? 15km competitive and 5km fun run. 3. Are children allowed to run in the 5km run? Children 5-15 years old can participate under Category F which is for a family package that consist of 2 parents / guardians with 2 children and/or 1 parent/guardian with 3 children. The parents/guardian must accompany the child all the time. Marshals will stop any child from running where there is no accompanying adult. Children 16-17 years old and above may run the 5km on their own but their registration requires a consent from their parent. 4. Where is the starting venue? The starting venue is at Sunway Medical Centre Tower C. The Runners will gather in front of the entrance to this new Tower C at Sunway Medical Centre. Please note the area for the baggage drop. 5. What is the start time? If you are running 15km your start time is 6.30 am. If you are running 5km your start time is 7.15 am. 6. How early should I be at the venue for the start? We advice you to be at the venue at least 45 minutes to start time. 7. Is there a drop baggage center? The run will finish at Sunway Geo which is across the road from the start line. The baggage drop bag will be there. We will provide the venue layout for both location closer to the date of the run. Stay tuned for emails from us or on our FB page. 8. Where is the finish venue? 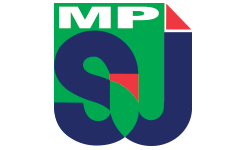 It is at Sunway Geo at the intersection of Jalan Lagoon Selatan and Jalan Lagoon Timur. The activities for post run will also be held there. 9. What is the route? 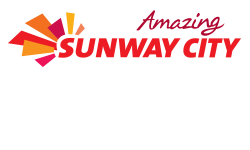 The 15km runners will run at the elevated BRT Tracks at the Sunway line. They will run a total of 10km on the tracks. They enter the tracks via the Depot at Kompleks BRT Sunway and exit the tracks the same way. Please see the map on the link for route. 10. What are the conditions to run at elevated BRT Sunway line tracks? Please read the rules and regulation in the registration link. Please observed the marshal’s instruction and that you do not run irresponsibly and causing the danger to oneself or to the other runners. Please do not purportedly stand at the edges so as to court danger of falling over. Please refrain from stopping to take a selfie whilst along the track. The track will be divided into one lane for runners to run the outgoing route and the other lane for incoming route towards the finish line. You are not allowed to run with rollerblades as it is against the IAAF ruling for road races. Should you flaunt any rules and regulation, the marshals reserves the right to terminate and cease your rights to continue running. 11. Is there a cut of time? The cut of time is executed at the USJ 7 station on the elevated BRT Sunway tracks. If you not not reach this checkpoint water stop by 8.30 am, there will be a sweeper bus that will come out to collect you. There is no cut of time for a fun run but please try to finish the run by 1 and half hour. 12. What happens if I am injured during the run? Should you be injured during the run or have opted to stop running, there will be first aid stop at each water stop. There are 3 water stop. Please refer to the route map. The first aider will assist you and and ambulance on the standby. 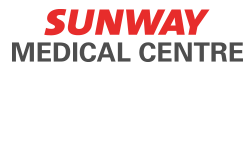 Sunway medical centre is next door! 13. Do I get the finisher medal if I didn’t not meet the cut off time? Runners who do not meet the cut off time, will not be entitled to the finisher medal. 14. Where is the Race Kit collection? At Sunway Geo, Sunway city on 27-28th October 2017. Please see the link for race kit collection, venue and activities on the registration link for more details. 2. If I am 18 years old and below can I register? You are are eligible to run the 15km on your own, however your registration must be given a consent by your parent. You will have to get your parents to put in their signature on the accompanying form sent to you via your email. Failing which you will not be able to collect your race kit collection. 3. How would I know if my registration is completed? 4. Do I get a refund if I don’t participate after I have registered? No. The proceeds collected will however go to cancer support group. 5. Will I be entitled to the Medal should I not run the event after registration? No. You will not be entitled to the medal. 6. Can I downgrade or upgrade the categories after I have registered? You can only do this with the consent of the organiser upon written request to them not later than 1 month prior to the event date. Please write to info@checkpointspot.asia The discretion remains with the organiser whether or not to approve the request. No refunds will be made for any downgrade of categories and for upgrades you will be required to top the additional value. 7. Can I change the size of my tshirt after registration? You can only do this one month prior to the event date and upon a written request to the organiser to request for a change of the t shirt size. The discretion remains the organiser whether or not to allow the change. 8. Will there be a bulk registration? Yes. Please write to info@checkpoint.asia and you will be given an excel form and the payment requirement detail. Please sign the waiver forms too. Please also note this bulk registration is for registration of more than 10 persons. 9. Will there be a bulk registration discount? No. 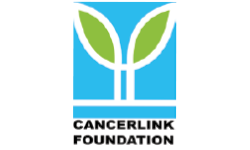 This is a charity event and all proceeds that will be collected from the registration fees will go to the cancer support group. 10. I am a not a Malaysia born but I have a PR status, a working visa or a red malaysian ID card, will I be eligible to register? Yes and the registration fees will be the same as the locals and malaysian runners. 11. As a non Malaysian participant, am I entitled to win prizes? Yes, you may except you are not entitled to win the Best malaysia prizes. 12. Children’s eligibility - if your child is below 5 but you would like to register that child under the family package - Category F and G? Please write in to info@checkpointspot.asia to submit your request and indicate what your course of action will be should the child below 5 not be able to complete the run. 13. Can I register to run as a family with adult off springs as a package of 4? Yes, there will at least 3 points for a checkpoint and a timing mat to ensure that you have run the correct route and to prevent any potential short cut by running competing. 1. How many water stops are there? 3 water stops. Please refer to the map for Route in the link for registration. 2. Where will the first aid station be? At each 3 water stops location. 3. Will there be a checkpoint to manage possibility of cheating?